This is something WoW players have been longing for since Vanilla and it has the power to completely change the way we make gold. Anything that takes the drudgery out of gold making is a good thing, right? So, does Tycoon live up to the hype? I’ve received a copy, have been using it for a while, and will give you my complete review here. I’ll get straight to what you want to know. Does Tycoon really work? The authors claim that you can make 230% more gold by using Tycoon. I found this to be a conservative number. I personally used the addon for several days now and I’ve always managed to open my mailbox to over 500%-700% more gold than I normally get using the exact same strategies by myself. Your mileage may differ and you might even make more. 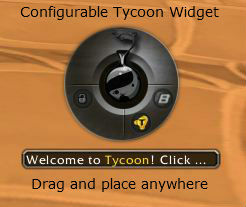 There are other addons which will do much of the work that Tycoon does (see below for details,) but none of them put it all in one place and make it so easy. If your time is valuable to you then Tycoon is a pretty nice thing to have. The creators took the best gold strategies in the game and made an addon that automates the difficult or most time consuming parts of the strategy. Since it’s automated, it basically means they optimized the strategy so you’re more efficient in doing it, resulting in potenitally a lot more gold than you would normally get. There are four gold making strategies in Tycoon: Gathering, Grinding/Farming, Crafting, and Auction House Playing. Exactly which strategies will make you the most money among Gathering, Crafting, Farming, and buying/reselling. Exactly which items will make you the most money, based on its calculations, and plenty of “next best” options. Optimized gathering routes and hot farming locations, sorted by how much gold per hour you can earn. It knows if too many people are using that strategy and will often times tells you to get an item with no competition but high in demand. This means you can be the only one getting that particular item, since there’s no competition. With that high demand you can sell your items for a premium price. Tycoon gets better as time goes on and it learn the economy of your server. Just hit the “Start Scanning” button to begin. When the scan is complete Tycoon has enough information to do its magic. A window will appear with lists of items ordered from top to bottom by how much Tycoon believes you will make, per hour, if you go for that item. (You should scan several times over several days to get the best results.) I’m impressed with how accurately Tycoon is able to give me solid advice on which items will make the most money. For example, here’s the Leatherworking screen. Wondering which items to make? This screen will tell you. While these particular items are not necessarily the highest item level in Mists of Pandaria, they are the ones that you can make the most profit on. The most profitable items will top the list. Don’t have your Leatherworking quite maxed out? No problem. Just scroll down until you find a recipe that you can make. Having a very high skill will help, though. Also, with the “Instant Boost to level 90” now available you have a chance to max out your professions if your character is at least level 60, before the boost. This will give you access to many more recipes. Tycoon does a page like this for each of the crafting professions. For example, something that will only profit you a couple hundred gold might sell a lot faster than one that earns you more and those lower priced items might be easier to make. It knows your economy better than a human ever can, it knows if the market is inflated and knows when there’s too much competition. If situations aren’t right to go for one item, Tycoon will give you another one. It’s a good feeling to know you’re always doing the strategy that makes you the most gold possible at that point in time. Tycoon does more than just tell you the best way to make the most gold. It shows you! Let’s say you’re a skinner. So I just click the farming button at the top and then click “skinning” on that drop down menu at the bottom. The top item on the list is now Mt. Hyjal Savage Leather. Hovering over the “add” button (the sack icon) shows that savage leather scraps and blackened dragonscales will also be collected. 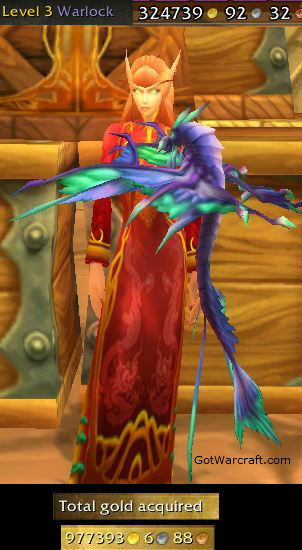 Mists of Pandaria items will also be show, whichever is most profitable will top the list. The left image and the Uldam image is from the main map, the smaller image is the minimap as you approach the area. Now isn’t that handy? (The yellow exclamation points are from a different addon.) So I ran (flew) down there and killed Dragonkin for awhile and found skins, scraps, and scales in pretty much the ratio that the addon predicted. No one else was there, either, which was nice. The mobs respawn fast, too, so if you want to farm for an hour, or several, you will come up with some pretty nice stacks of loot to send to your bank alt. If Tycoon tells me to mine say, Obsidium ore, all I need to do is click Gathering > Mining (from the drop down menu) and you’ll see a list of mining suggestions. Click one, hit “Go” and it will give you highly optimized mining routes. This creates ant trails around your which guide you over the most populated mining node locations. This was an awesome feature added to the Gathering Module and I can’t go over all the features in this short review. But all the Strategy Modules have some kind of special feature that helps you get the most of that item in the shortest amount of time! But this is only for High Level Gatherers, right? Important: The Auctioneer or Auctionator addon (either one works) is also a requirement, but that’s free and easy to get. These addons do the scanning work and Tycoon puts it all together. Use one or the other, if you have both installed then it will use Auctioneer data, but Auctionator is muchf aster at scanning. Sometimes Tycoon will put an item at the top of the Most Profitable list which isn’t in very high demand. It does show you the “demand” of the item is low though. So, as long as you pay attention to that and don’t go for any items that are low in demand, you should be able to quickly sell it. Otherwise, if you don’t mind waiting, you will still sell it eventually. You will need to do multiple scans over a period of days for Tycoon to really get a good handle on your server’s market. This just means that Tycoon will get even more accurate over time. You don’t need to worry about this for the farming/gathering sections. Is Tycoon the truly revolutionary product that is going to change Gold Making forever. Maybe not, but it’s a very useful tool. Once you’ve used Tycoon, attempting to play without it will be uncomfortable, especially if you’re into gathering or crafting. The addon is well designed, easy to use, and the bugs have been pretty much stomped out. With the data, tools, and special features available with Tycoon, it is very hard NOT to make more gold using it. The creators have gone above and beyond everything you will need to make far more more gold per hour or your time. Every aspect of the gold strategies included has been enhanced by helpful data or features to help you do it better and faster. Everything you need to make a lot more gold is right here. By the way: updates are free and are made regularly. If you’re looking to make more gold – a LOT more gold – I highly recommend checking out the Tycoon Gold Guide. It is by far the best way to make the most gold possible in the shortest amount of time. Isn’t charging money for add-ons against the ToS? No, actually. Zygor, Dugi, and others, as well as the Tycoon people all do it, they all offer great value, and they’re all TOS compliant. You would have to ask them directly to find out the exact details. The contact info is on their home pages. I have used this addon, and I love it. It made me tons of gold in game and I also use another site called The Undermine Journal (Google it! ), which is also AWESOME, it works like an out of game Auctioneer Mod, but basically tells you what is ridiculously cheap right at this moment. $37 a pop just for providing Augtioneer/Auctionator data in a pretty display? And for adding some other useful data. And for easily finding buy that are easily missed with Auctionator lists. 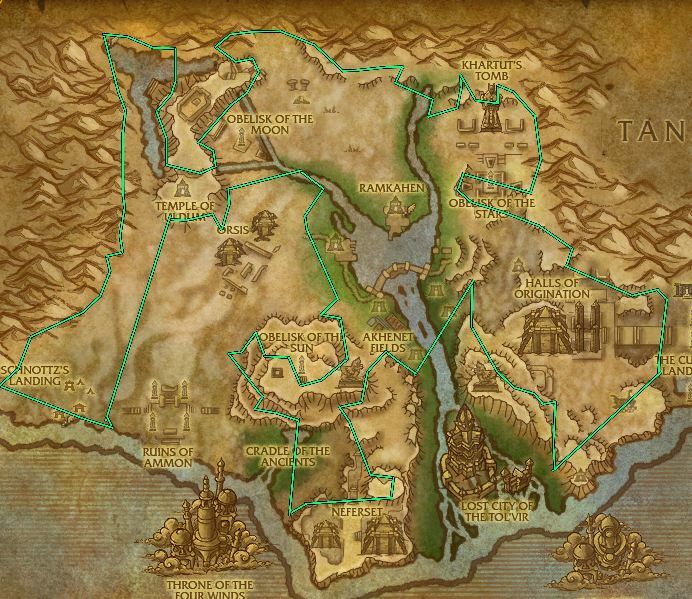 And for marking up gathering routes, which I’ve found to be very useful. It’s a big time saver and I’ve used it to make quite a bit of gold that I wouldn’t have made otherwise. Auctionator is great and Tycoon brings quite a bit to the game. Now, if all you do is sell certain gems or glyphs or only gather a few herbs then its value is less. If you want to expand out a bit then it’s definitely valuable. I use it all the time, so I recommend it.